Zionist regime’s soldiers have shot and wounded a cameraman during violent clashes that erupted in the occupied West Bank. The official Palestinian news agency, WAFA, citing its correspondence in the scene, reported that the cameraman, who works for that Reuters news agency, sustained injuries on Sunday after Israeli forces shot him with a rubber-coated steel bullet during protests in Batn al-Hawa area in Ramallah Province. The report added that a number of other protesters were also wounded after inhaling tear gas fired by Israeli troopers. 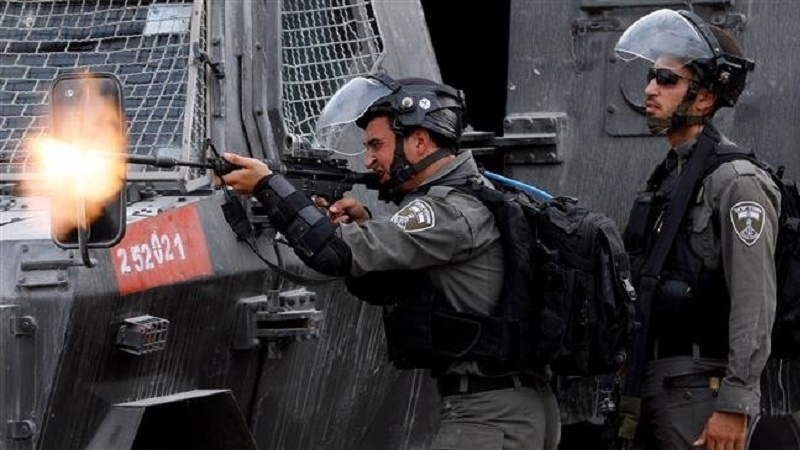 It also said that Zionist regime’s forces stormed the area and blocked several roads leading to it before surrounding a residential building there, provoking residents and leading to clashes. On Tuesday, the Committee to Support Palestinian Journalists said in a report that the Israeli military’s violence against Palestinian journalists since the beginning of the current year stood at 637. The Committee further noted that the month of August witnessed the highest number of Israeli violations against Palestinian journalists, and the number hit 129. Israeli authorities have on occasions accused al-Quds television channel of being a “propaganda tool” for the Islamic resistance movement, Hamas.